This door has an opening speed of 1 m/s and up to a class 4 wind load, thanks to horizontal bars fitted into pockets welded to the curtain. Rapid Fold doors are therefore highly suitable for more exposed locations. This door is designed for continual use, facilitated by a 415v supply to the control board. 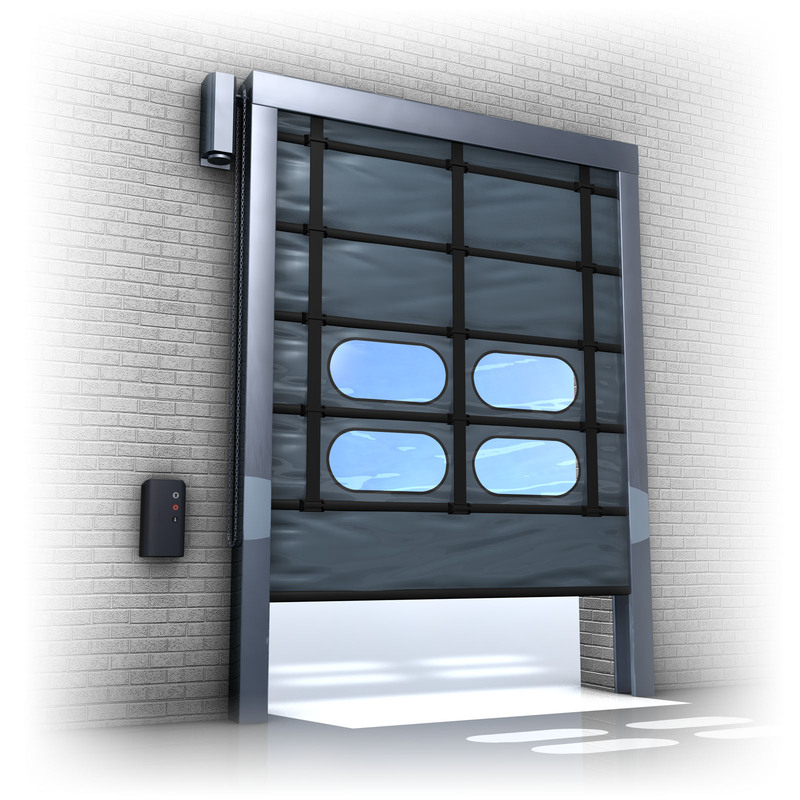 It is therefore an ideal solution for an opening in a busy environment. We are able to install the door both internally and externally in accordance with your preference and as the column section is finished with a rubber seal that protects the curtain, you should not need to see us again for a long time after that, as it reduces the need for maintenance. All Rapid Fold frames and covers are made from galvanized steel, or alternatively can be custom-ordered in stainless steel and painted various RAL colours to suit your preference.